For any of us who have ever had to feed a child we know what a pain in the rear that can be. A lot of children are picky eaters and it can be difficult to cater to what they like and don’t, and also get them the nutrition the need. One of the biggest challenges we face is packing those lunch boxes for school. There are many rules around what you are allowed to send to school now days due to allergy concerns. The biggest thing to look out for is peanut and seafood allergies. People with those allergies generally can be triggered by the smell so those need to be avoided for sure. So what do we put in there? 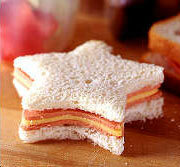 How about a ham and cheese sandwich. Sounds boring right. Not the way I make them. A ham and cheese is only boring if you make it that way. Try putting using smoked, maple, or honey ham. Also, try add in a slice of prosciutto, it’ll add an intense depth of flavor. 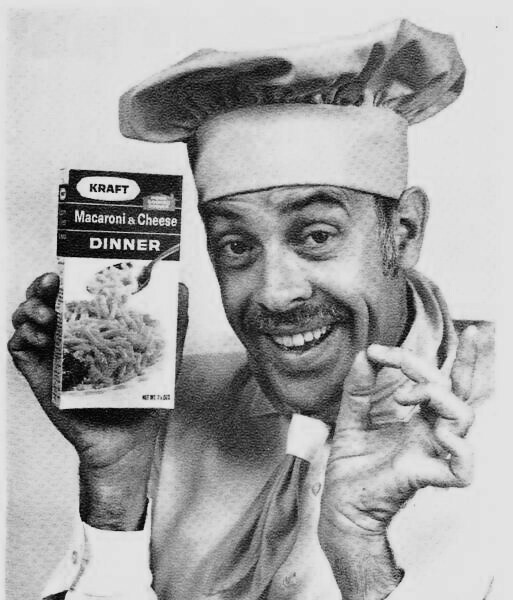 As for the cheese, don’t just use a kraft singles cheese slice. While the commercials may say that your kids will love you for them, I didn’t like them as a kid so I don’t know who’s doing their research. Try using a swiss or provolone, or any cheese that will add a new flavor to the sandwich. This way your kid won’t be trying to trade it away. Now for the icing on the cake: Martha’s Apple Butter. Apple butter is much healthier then putting regular butter on a sandwich and it tastes delicious. If all of this still wasn’t enough to create the perfect ham and cheese for your little one (or for yourself, it’s just that good) try making it look pretty. Who doesn’t love a nice presentation. Buy some jumbo cookie cutters and cut out the sandwich into a fun shape. That way if your kid hates crust then the crust is gone and they’ll have more fun eating something that looks like a dinosaur. Frozen Juice Box – A frozen juice box is delicious way to keep your childs lunch cool. And also a pure fruit juice is packed with vitamins your child needs and every kid loves juice. Fruit Kabob – Instead of just giving them fruit in a tupperware container dress it up a little. Take a regular fruit skewer and add strawberries, grapes, pineapple, and marshmellows; or just use whatever your kids faves are. Let them take part in picking them out and try new fruits with them. Also it’s a great way to get kids involved with cooking with you. Cereal Bracelets – For these you can use an unflavored dental floss or some clean thread. Get the kids to help you make these too. Get some Fruit Loops or Cheerios and string them onto the thread until it makes a bracelet. It’s a cute treat to add in the lunch box. Also since most cereals are being made in whole grains it’s not that bad for them either. Pre-Peeled Orange – Most kids enjoy eating oranges but it can be hard for them to peel for themselves. To give them a head start slice off the tip of the top of the orange. Then score down the side of the orange in four places to create four equal segments. Then peel back the top of each segment a bit. Crunch Caterpillar – A lot of kids have an aversion to anything green. But if it’s in the shape of a gross caterpillar we might have a shot. Peel a cucumber and then slice it into 1/2 inch slices. Then string the slices onto a plastic bendy straw. 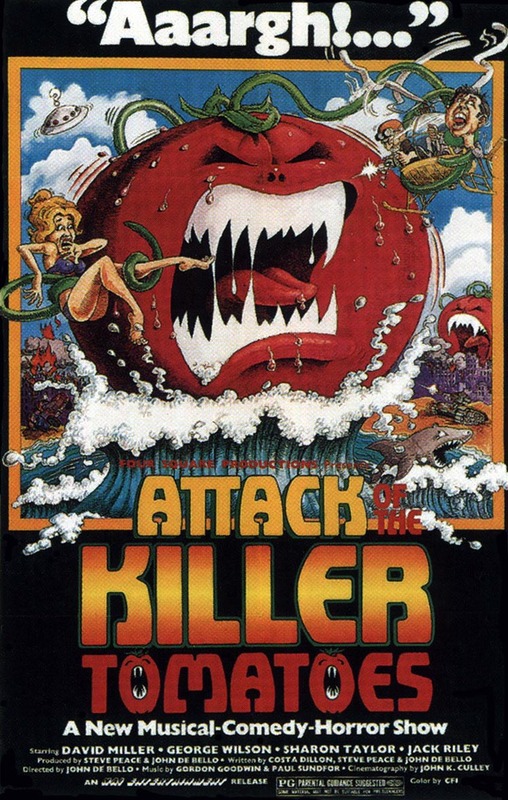 Then top it off with a cherry tomato as a plump head. Kids should just eat what’s on the table, right? I mean, it only stands to reason picky kids will turn into picky adults if they’re indulged early on. Besides, there’s nothing to be scared of – they’re just vegetables. That said, I don’t actually have any children so I will likely stand corrected on this issue. It looks like there are a lot of tips and tricks out there to get kids to eat healthy and not kick up a fuss every time they’re presented with something healthy. And while some parents say their children will eat whatever is put in front of them, it looks like a lot have a nightly battle on their hands to get the veggies down. According to Dr. Oz (you know, the guy from Oprah), children’s famous dislike of vegetables is actually a survival mechanism. The bitter taste found in some veggies triggers a biological response in the little guys that is meant to help them avoid poisonous substances. It appears parents are staging a battle against millions of years of evolution (via healthybpm.com ). Filling up on snacks or drinks too close to mealtime can make those veggies look less enticing. So does knowing desert is right around the corner. Let them pick a healthy side dish from the store or better yet, put them to work cooking one. If the child is involved they may be more inclined to choke it down or try something new. Have healthy options available. They’ll be happier because they’ve had the option of NOT eating brussel sprouts in return for picking out something more delicious. That said, limit unhealthy options as well. Growing up the only ‘treats’ we ever had in the house were Flinstone vitamins. Needless to say, I’ve grown accustomed to eating my veggies. Hide veggies that are considered inedible by your child into soups, sauces, and pizzas. This trick still works on me. I hate mushrooms but will happily eat them if they’re too small to pick around. 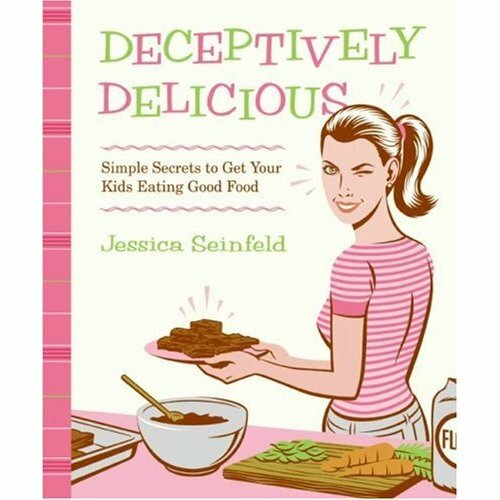 Jerry Seinfeld’s wife wrote a whole cookbook on how to sneak more veggies into your kid’s food. It looks like kids can be stubborn. It can take up to 20 times of trying a new food before they will accept it as a part of life. Ask for one bite and be happy with that. Too much pressure will make for unhappy dinners for everyone. Try different variations of the same food. Slice it, steam it, serve it raw, add a little dipping sauce for good measure. Apparently kid’s like small things. Try cutting it up into little pieces and see if that makes a difference. If you’re complaining about brussel sprouts, chances are your kids aren’t going to be fooled into eating them either. So, take one for the team and eat yours with a smile on your face. 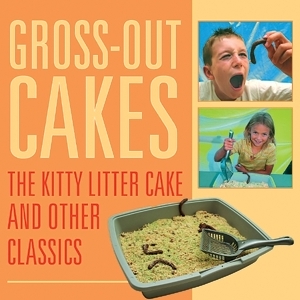 If all else fails and you want to gross out your kids on purpose, there’s also a cookbook for that. It’s full of recipes for completely edible foods prepared to look like absolutely disgusting items. After all your troubles I would not be surprised if it’s easier to get kids to eat ‘catlitter cake’ than steamed broccoli. Good luck folks. 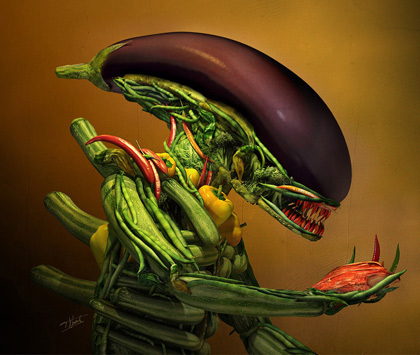 What up Kiddies, another freakin’ Friday is upon us, who’s hungry? In keeping with the weeks theme I have conjured up a plan to keep those wallets (and tummys) full. First off, don’t be stupid. Blowing money on ‘Fast Food’ a few days a week may keep you alive but its no recipe for success. You’re not gonna be too healthy, and you’re gonna be poorer for it. Lose-lose no doubt. 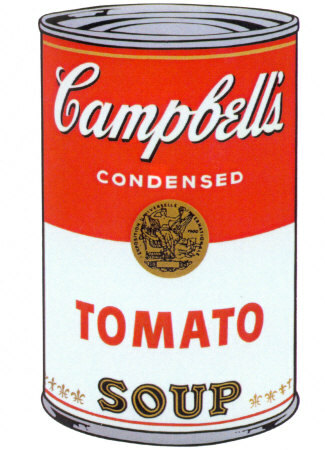 6) Buy in bulk – Who doesn’t want mustard till 2011? 7) Compare and Save – Watch those sales, cut those coupons. Too lazy for all of that but like to surf the Net? Check out these websites that tout budget recipes for your penny pinching hungar pains. Wow, I was actually getting ready to finish up here when I came across this last one. Funny thing, I only clicked the link because the website is momsbudget.com and my Mom does freezer cook for me. Who doesn’t love Mom’s home cookin’? Especially when you can enjoy it in your own home, on your own couch…. You gotta have a plan. You need to not be lazy (I’ve lost you haven’t I). You need to check out what the Moms are cookin’! Most off all, be happy. If you’re broke but you’re full, I say, good for you……. yes thats right – you can eat almost for free! Since eating is an essential part of everyday life, and you have a limited budget to spend on groceries and paying bills. Have no fear, you can still get those nice big meals you used to get at home – but now for almost free! Now you may be asking, “How can this be done?” Well it is done by the process of Dumpster Diving. 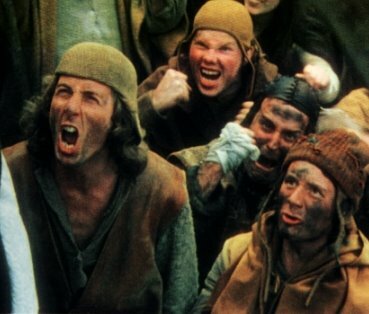 It falls under the philosphy of “freegans“. From what I know, this concept is slowing catching on in Canada, but is huge in the United States. 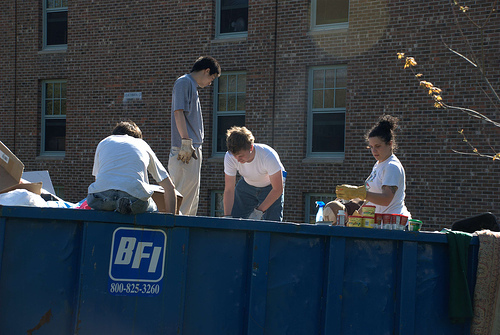 Where not only are student out dumpster diving, but also people with families, careers, etc. too. What you do is go to the dumpster located behind your favorite grocery stores (Safeways), bakeries or your local supermarket and look through the bags of “garbage”. You may be surprised as to what you will find. 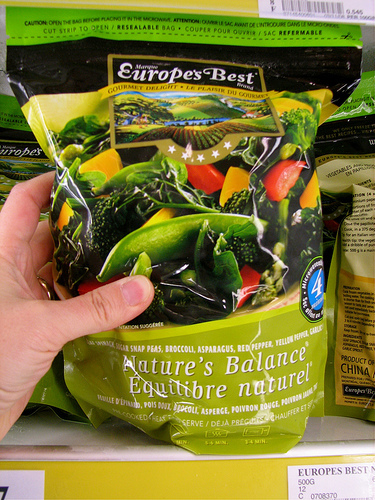 Within these bags you will find fruits, vegetables, meats and dairy products, but also boxed and canned goods. Majority of the items are usually in good condition, while you will also find ones that are not. Once you have collected all your groceries for the week and bring them home – don’t forget to properly wash and inspect everything. Now when Oprah starts talking about something – you have to know it is a big deal. Find below a video below from Oprah’s correspondent – Lisa Ling on Dumpster Diving in New York. Dumpster diving is most enjoyed in groups – so if you have no plans this coming Friday night, grab some of your closest friends and get out and dumpster dive! That right folks, grilled cheese is the best low budget meal around that not only tastes great but allows for your creativity to go wild too! 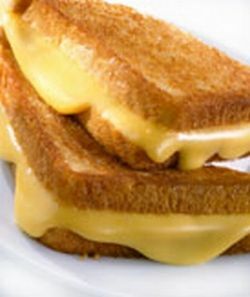 A typical grilled cheese sandwich consists of cheddar cheese in between 2 slices of buttered bread. The sandwich is then grilled, fried or baked in the oven. I prefer to use a proper sandwich grill for the perfect sandwich every time! Generally this sandwich is served with a hot bowl of tomato soup. did you know that the grilled cheese sandwich has been around since the 1920’s as an open face sandwich and It wasn’t until the 1960’s that the top slice of bread was added to the sandwich? (wikipedia). Please enjoy the following video and learn how to make a grilled cheese sandwich without a stove or oven! Grilled cheese sandwiches can be made with a variety of ingredients besides the above. Try mixing up your cheeses or add meat or veggies for a grilled cheese twist! My roommate enjoys her sandwich with avocado, tomato, onion and cheddar cheese. those cooking skills we learned in grade 11 Home Ec. class and cook a really impressive gourmet meal. proof meal plan that will make a star. And all for 40 dollars, including your wine. the recipe a bit and made it much more affordable. It tastes awesome and looks superb. 1. Heat butter and oil in a medium saucepan and melt butter. Add onion and carrot and cook until they are caramelized and softened, about 5 minutes. Add corn and continue cooking until corn is caramelized, about 7 minutes. Add shallots and garlic and cook for about 1 minute. 2. Add corn stock, salt, and cayenne pepper to mixture. Bring to a boil and then reduce heat to a simmer. Cook soup until corn is very tender, about 30 minutes. Remove from heat and then let cool slightly. 3. In a frying pan or on a grill pan you can now cook your shrimp. Add a small amount of oil to your pan and season your shrimp with salt and pepper before grilling. Cook until shrimp is no longer translucent and tails are orange. 4. In batches tranfer soup to a blender and puree until smooth. Strain soup through a fine sieve into a clean saucepan. Add cream and grilled shrimp. 5. To garnish add a dollop of sour cream and sprinkle with a few chives. Martha serves this dish cold, which you can do and it is really good, I just personally prefer it warm. If you want to serve it cold then just put it into the fridge until it’s totally chilled. 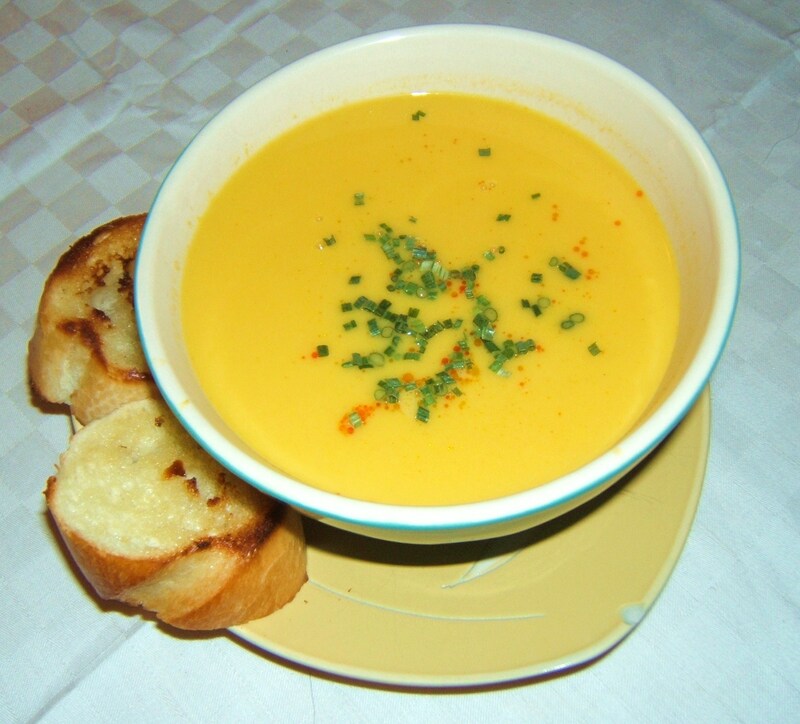 Also I like to serve this soup with a piece of grilled french bread. It gives people something to dunk into the soup, which tastes good and people always love. So I realize that not everyone will be into the effort of making a soup. For those of you who want another option check out this Radicchio and Endive Salad. It’s incredibly simple and is sure to appeal to the masses. expensive mushroom then the typical white button mushroom most of us use. doesn’t love a good truffle garnish, but really who can afford them. 1. Preheat the oven to 350 degrees. Place a large sautee pan over high heat. Season the pork loin with salt and pepper. Drizzle 1 tablespoon of olive oil over the pork and rub til the whole pork is coated. 2. Cook the pork the hot pan until it is golden brown on all sides, about 8 minutes total. The pork is not going to be cooked at this point so don’t worry. Put the pork in the saute pan in the oven and roast it for about 1 hour or until your meat thermometor reads 140 degrees. (for how to check the temp of your meat check this out.) While the pork is cooking turn it occasionally to ensure even browning. 3. Remove the pork from the oven and brush with dijon mustard over the top and sides of the pork. Sprinkle 2/3 cup of the chopped parsley over a work surface. Roll the mustard coated parts of the pork in the parsley to coat and pat the parsley to insure it’s adhered. 4. Set the pork aside and let it rest for at least 10 minutes so that the juices redisperse into the meat. Add the chicken broth to the pan that had the pork. Stir over medium heat to loosen the drippings and create a sauce for the meat. 5. For the mushrooms: In a separate pan add the remaining tablespoon of olive oil. Then add the shallots and cook for a minute. Then add the garlic and cook for another minute. Add the mushrooms and saute for about 8 minutes, until they are tender and juicy. Stir in remaining parsley and stir with salt and pepper. 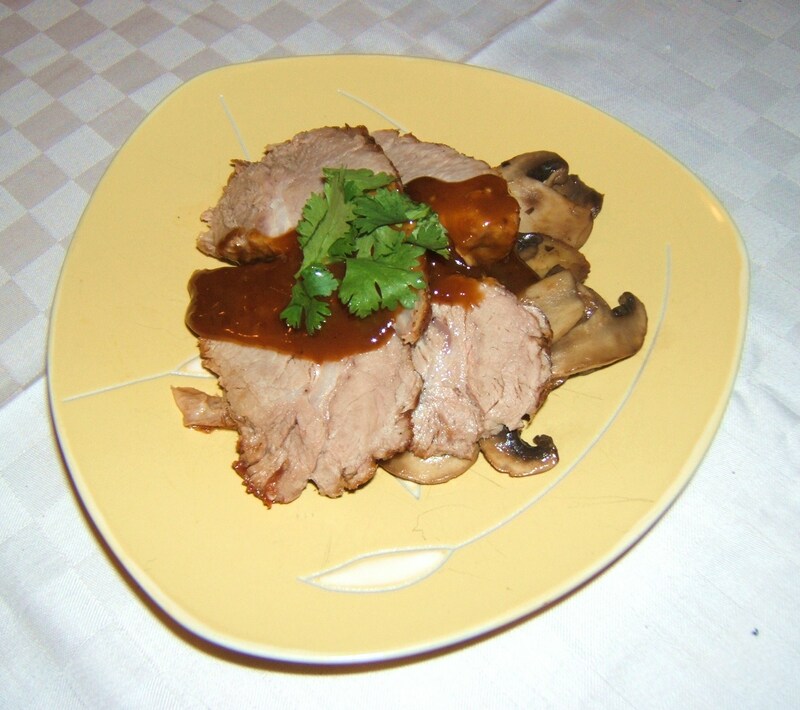 lay two slices of the pork on top of the mushrooms and drizzle the sauce over top. Garnish with a little left over parsley. classy, try serving Paris Hilton’s canned Prosecco.